Quite often a patient will start to feel better during their initial adjustments. This can be a confusing time for patients because they associate feeling better with the correction of their problem, when most commonly that is not the case.Be prepared to address this concern by using this handout to reinforce the message that was covered during their initial report of findings. 1. Complete this with the patient's name and ate and then circle the statement that best describes the patient's current subjective complaints. 2. Write the most current treatment frequency under the corresponding phase of care. 3. Explain to patient's which phase of care they are in and how their care will progress into the future phases. 4. Give the completed handout to patients so they can take it home and share it with any co-decision makers or others needing chiropractic care. Quite often a patient will start to feel better during their initial adjustments. This can be a confusing time for patients because they associate feeling better with the correction of their problem, when most commonly that is not the case. Be prepared to address this concern by using this handout to reinforce the message that was covered during their initial report of findings. This enduring patient communication tool has been a long-lived favorite of experienced and new clinics alike. 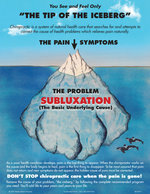 Use this handout to help patients understand that pain, which is commonly the first thing to disappear during corrective care, has little bearing on the actual correction of the underlying cause - subluxation. This Treatment Plan form provides the easiest way to organize, document, and communicate your diagnosis, related CPT's, short and long-term goals, as well as treatment frequency, lifestyle modification, home instructions, nutritional recommendations, structural support, and response limiting factors. An excellent contribution to documenting patient acceptsnce. Patient compliance increases with patient understanding. 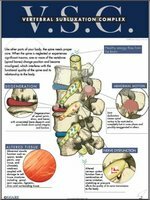 This is the only artwork available that depicts anatomical examples of afferent and efferent impulses, the spinal cord's internal position to the spinal bones, and the anotomical effects of subxuxation. It is a very good idea to document so that patients understand your new patient procedures. The Welcome To Our Office Form combines a quick new patient procedure explanation with the required summary of health care privacy practices. This is an easy way to align your procedures with patient expectations and document HIPPA procedures. 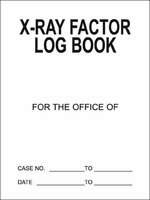 This log book is a perfect and cost-effective way to maintain daily exposure records. 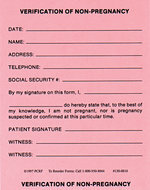 A commonly overlooked necessity for every clinic that performs x-rays.